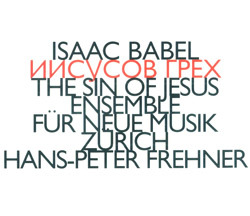 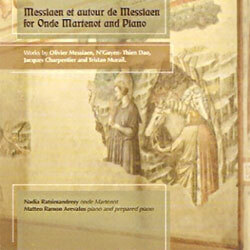 Transcription of Soviet writer Isaac Babel's The Sin of Jesus into music by applying a rule system where words determine melody, letters determine rhythm & harmony, &c.
2 CDs & 72 pg book in a comprehensive presentation of the experiments and innovations in the exploration of sound by the historical Russian Avantgardes, 1908-42. 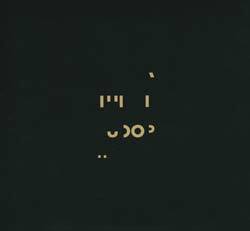 Inspired by the work of Otomo Yoshihide, Martin Tetreault, and Ruins, Broken Record Chamber create and deconstruct music using and abusing turtables, guitars, electronics and drum machines. 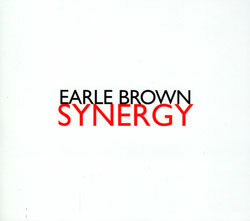 Remastered edition of Earle Brown's conducting debut with the Ensemble Avantgarde in Leipzig, presenting his proportional and graphic score "Event: Synergy II", along with 2 other works of distinctive structure. 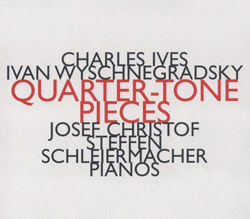 7 works by Greek composer Jani Christou performed by the Oakland Symphony Orchestra, Rundfunkorchester Hanover, NDR, Ensemble "musik unserer zeit", and Christou himself. 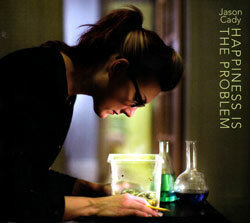 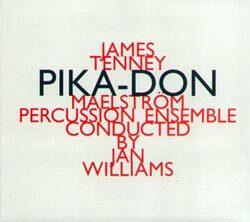 Guitarist Jez Franks and saxophonist Tori Freestone co-lead this quartet in a sophisticated take on melodic yet complex, hard driving jazz, intelligent playing for a modern age. 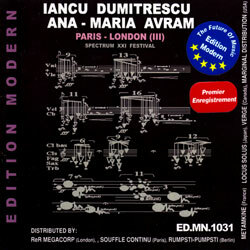 Three works from Romanian composer Iancu Dumitrescu, and two from Ana-Maria Avram, recorded at the 6th edition of the Spectrum XXI Festival held in London, Paris, Berlin and Bucharest in 2011, presenting works gravitating around the "Spectral Music" nucleus. 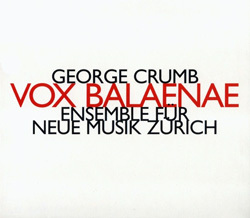 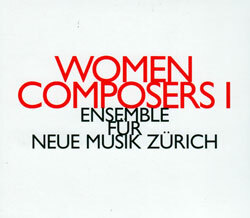 The Ensemble Fur Neue Musik Zurich perform the works of modern women composers: Katharina Rosenberger; Ada Gentile; Carmen Maria Carneci; Liza Lim; and Noriko Hisada. 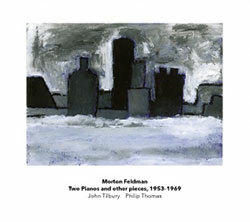 "Two Pianos" is one of Morton Feldman's most experimental and radical works, performed here by John Tilbury & Philip Thomas; plus lesser known works including 'Piece for Four Pianos', 'Between Categories', 'False Relationships and the Extended Ending' and 'Two Pieces for Three Pianos'. 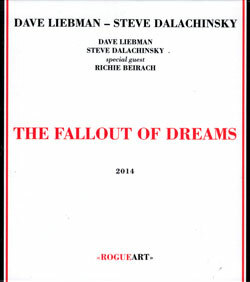 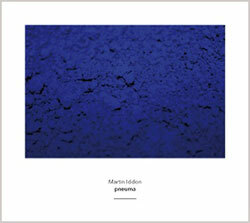 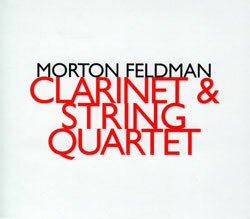 Feldman's 1985 solo piano composition for Feldman's pupil and long-time associate, from a 1990 digital recording remastered for this new edition. 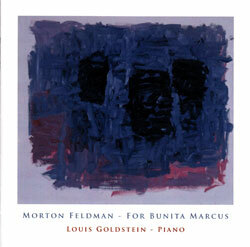 Pianist Louis Goldstein plays Morton Feldman's soft, slow, and beautiful 1985 solo piano composition for Feldman's pupil and long-time associate, Bunita Marcus. 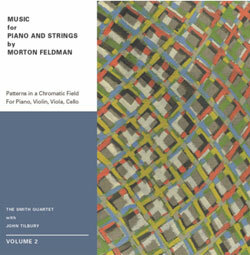 The 2nd volume of "Music for Piano and Strings" by Morton Feldman is performed by The Smith Quartet with John Tilbury, presenting "Patterns In a Chromatic Field", and "Piano, violin, Viola, Cello", on DVD audio to allow for the length of these large works. 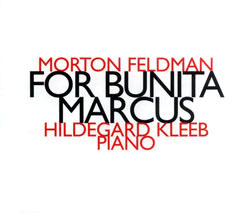 A collection of Feldman compositions primarily for piano as recorded by his earliest interpreters: Cornelius Cardew, John Tilbury, David Tutor, Cantilene Chamber Players, and Feldman himself. 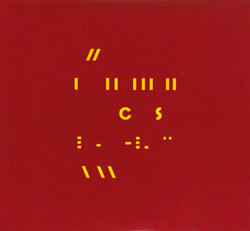 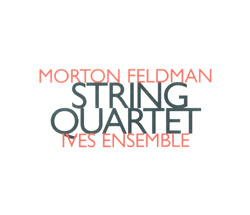 The Ives Ensemble playing one of Morton Feldman's later and shorter works, the 1979 "String Quartet," in a digital DDD recording from 2005. 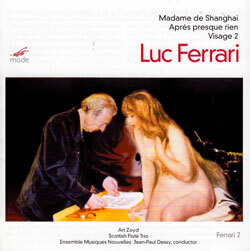 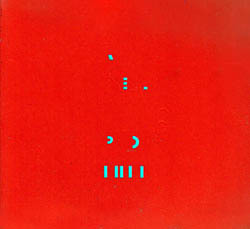 Ferrari's 2nd disc for Mode presents 3 works, including one commissioned by Art Zoyd using taped environmental sounds; a work of serialism; and a work using field recordings from the Asian commercial center of Paris. 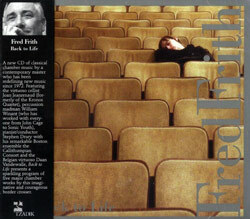 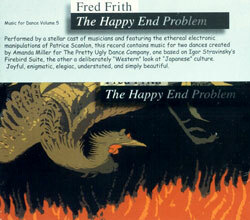 Classical chamber music from Fred Frith featuring virtuoso cellist Joan Jeanrenaud (Kronos), percussionist William Winant, pianist Stephen Drury, &c.
Works from Volker Heyn, an outsider artist interested in acoustic process, tone gestures, friction, discontinuous movements, &c., with recordings by Pellegrini-Quartett, Ausfuhrende: Kammerensemble Neue Musik Berlin, &c.
Composer Martin Iddon in a work of new conceptual modes of music making, with a ritualistic approach building strange sounds and stange actions in dense layers and intense timbres that demand a unique physicality from the player. 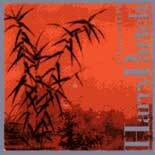 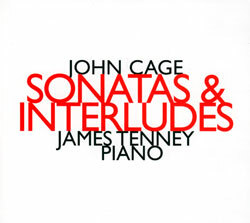 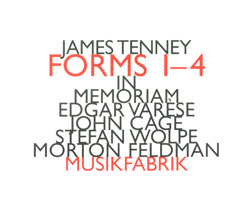 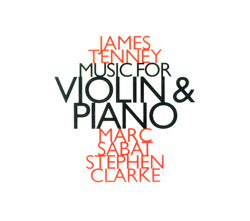 Pianist John Tilbury is captured with remarkable clarity by Sebastian Lexer as he performs works by composers Terry Jennings and John Cage (with Lexer on electronics); superb performances! 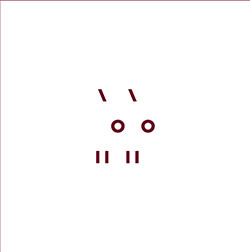 The fourth installment in Darius Jones' on-going "Man'ish Boy" epic, an a cappella presentation from his vocal quartet, The Elizabeth-Caroline Unit using Jones' fictional, mythological sacred language used in the alien birthing ritual of a new being. 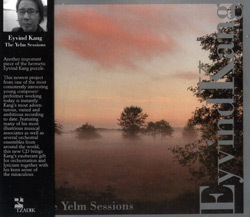 A studio project from the elusive violinist Eyvind Kang, featuring many of his musical associates as well as several orchestral ensembles from around the world. 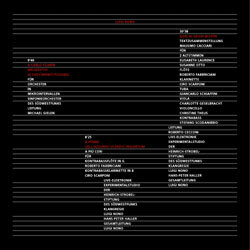 A beautiful 2 picture disc LP and booklet of radio plays (Horspiele) from sound artist and poet Ferdinand Kriwet, presenting 6 works including Hortext (radiotext) I, and Rotoradios I & II. 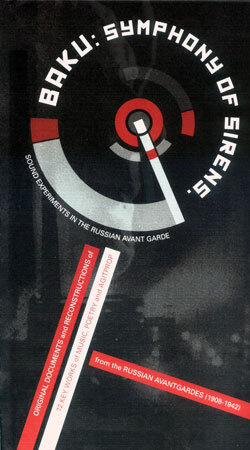 Six radio texts by multimedia artist and poet Ferdinand Kriwet in a beautifully designed 3 LP picture discs luxury box with a 20 page 12"x12" book of text and images. 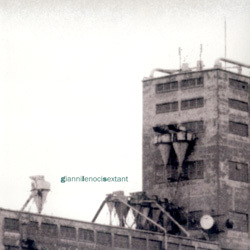 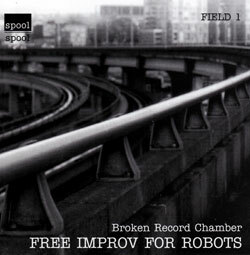 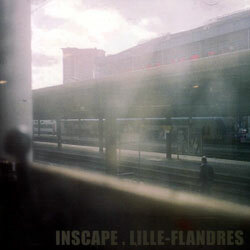 A concept album for their Inscape project: onsite installations with strategically placed microphones mixed in real time to create complex and intriguing sound sculptures. 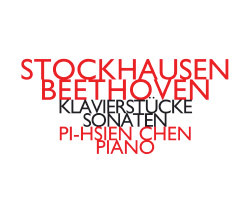 A 20-minute improvisation plus realisations of scores by the Wandelweiser composers Eva-Maria Houben & Taylan Susam, including an extraordinary outdoor performance of Houben's Nachtstuck for solo bass. 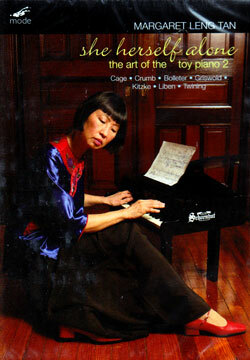 Margaret Leng Tan performing works by Cage, Crumb, Griswold, &c. on toy pianos, toy instruments, piano, percussion, music boxes, and voice, raising miniature instruments to "serious music" status. 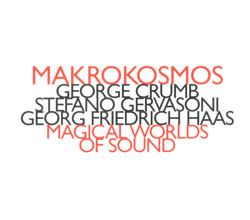 Makrokosmos Quartet playing the Crumb piece from which their name derives, along with works by Stefano Gervasoni and Georg Friedrich Haas. 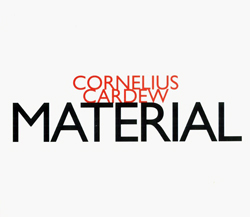 First meeting of experimental musicians Keith Rowe & Radu Malfatti in a 3 disc set: one disc of compositions by Jurg Frey and Cornelius Cardew; one disc of their own compositions; and one disc of improvisation. 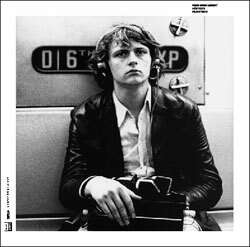 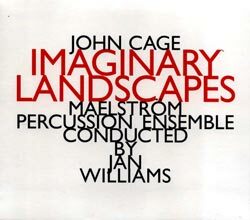 Instrumental compositions by "post-minimalist" John McGuire who took classes with Karlheinz Stockhausen and Gottfried Michael Koenig, among others. 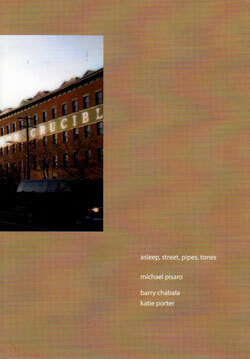 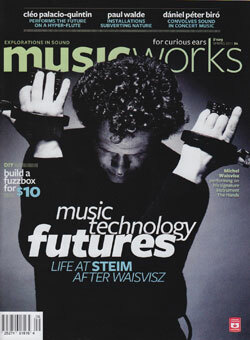 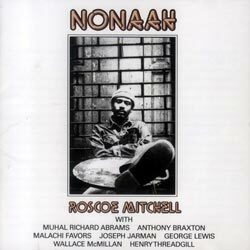 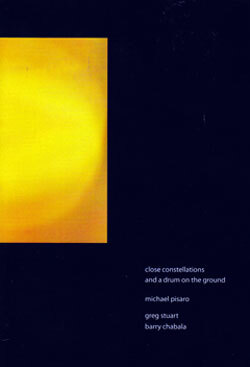 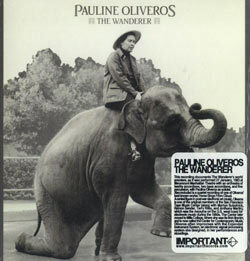 Perhaps Roscoe Mitchell's finest album outside of the Art Ensemble of Chicago, first solo and then groupings with Anthony Braxton, Henry Threadgill, Joseph Jarman, Richard Abrams, George Lewis, &c.
Musicworks Spring 2011 issue with Music Technology Futures on the cover, plus articles on Cleo Palacio-Quintin, Paul Walde, Daniel Peter Biro, and 10 track compilation CD. 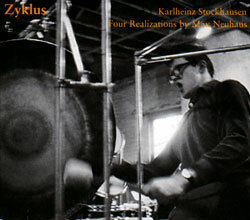 Four previously unreleased and unique realizations of Karlheinz Stockhausen's "Zyklus" for 21 percussion instruments, recorded 1963-1968 by New York School artist Max Neuhaus. 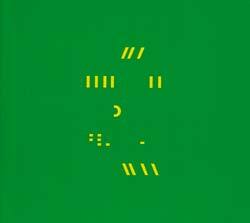 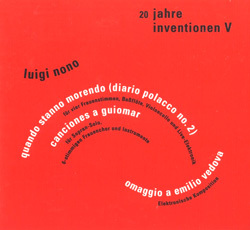 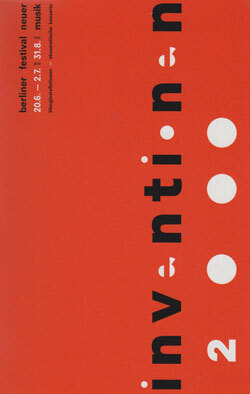 Three compositions by Luigi Nono, recorded at the Berlin festival "Inventionen", live electronics moving away from clear spatial and timbral assignations rendering the acoustic instruments barely recognizable. 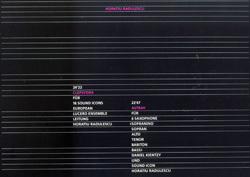 Reissuing composer Luigi Nono's 1990 Edition Rz LP with the addition of 3 works, presenting 6 remarkable symphonic works combining live electronics and voice, intended to expand the technical possibilities of sound and the perceptive faculties of the listener. 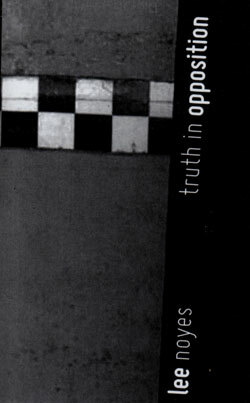 Sound artist Lee Noyes based this improvised laptop work on the 1776 work by James Beattie, "Essays: On the nature of truth, in opposition to Sopfifstry and Sceptifism", arguing that both consonance and dissonance are equally important to the perfection of harmony. 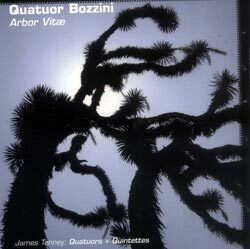 The sixth QB Collection, "Arbor Vitae", pays homage to the Canadian-American composer James Tenney with performances of the complete quartets and quintets. 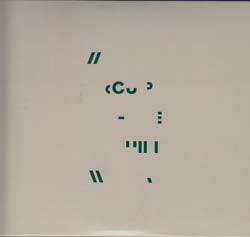 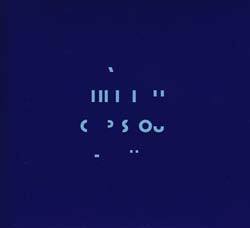  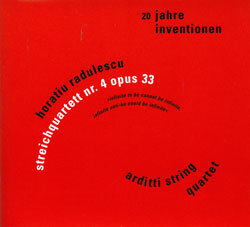 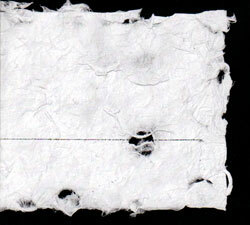 Horatiu Radulescu's String Quartet No 4, opus 33 (1976-87) performed by the Arditti String Quartett at IRCAM/Centre Pompidou Paris in 1996. 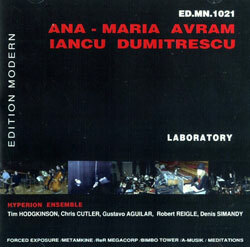 Romanian-French composer Horatiu Radulescu with 2 works from 1983: "Clepsydra" for 16 Sound Icons played on a sideway piano, and the 1984 work "Astray" for 6 saxophones and Sound Icons. 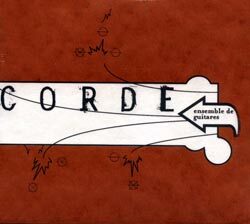 Exploring the many voices of the extraordinary electronic instrument onde Martinot with works by Olivier Messiaen, N'Guyen Thien Dao, Jacques Charpentier & Tristan Murail. 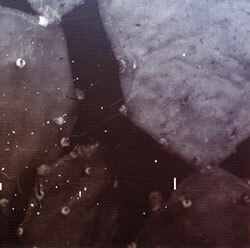 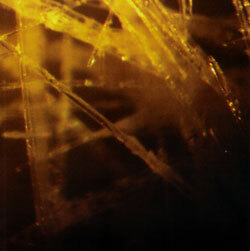 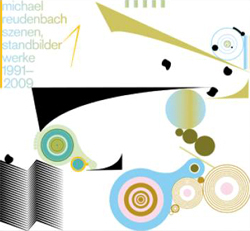 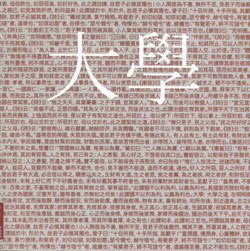 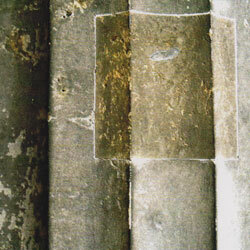 German composer Michael Reudenbach's works and studies from 1991-2009 are presented in a six-panel digipack with a 22-page booklet of images and photos, and notes in German and English. 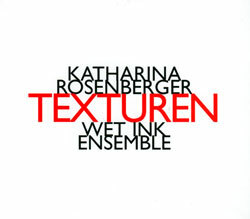 "Texturen" for seven musicians and eight other works from composer Katharina Rosenberger, blending acoustics, electronics and voice in inventive ways, as performed by the NY Wet Ink Ensemble.  Six works by composer Giacinto Scelsi performed by groups including the Ensemble 2E2M, collected and remastered from the original recordings. 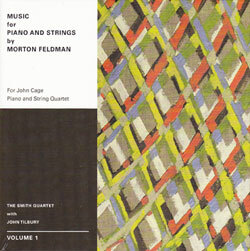 The Smith Quartet with pianist John Tilbury perform two long works by Morton Feldman: "For John Cage" (1982) and "Piano and String Quartet" (1985) on DVD Audio. 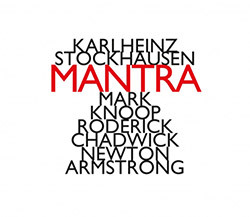 Stockhausen's late 60s composition "Mantra" was a return to his intricately systematised approach to musical construction, expanding the possibilities and potentialities of the serial principle to allow for more melodic and embraceable compositions. 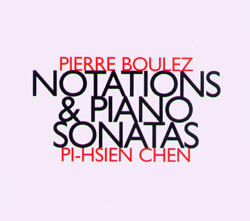 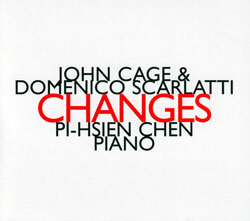 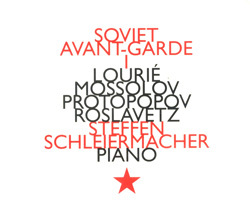 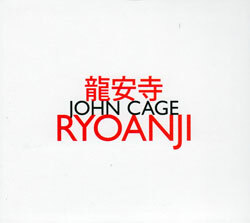 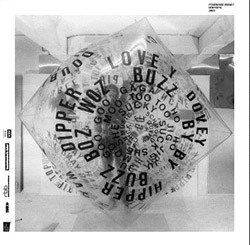 2-CD set with recordings by the legendary 20th century avantgarde pianist performing compositions by (and with) John Cage, plus Sylvano Bussotti, Morton Feldman, Christian Wolff.